Northern Spain’s scene is shy at first glance but it houses a considerable movement of writers. In it, there are truly unique names, like in the case of Shore. 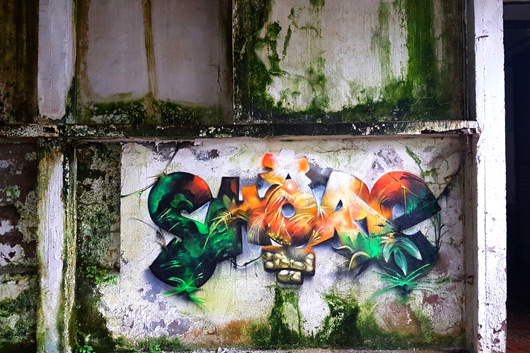 This writer has a remarkable peculiarity: in each piece he develops a practically different style that adapts to both specific, experimental themes or to the most classic in bombing styles. We were interested in his work and it led us to asking him a handful of questions. -Since we began to follow your footsteps, we noticed that your style is very versatile. 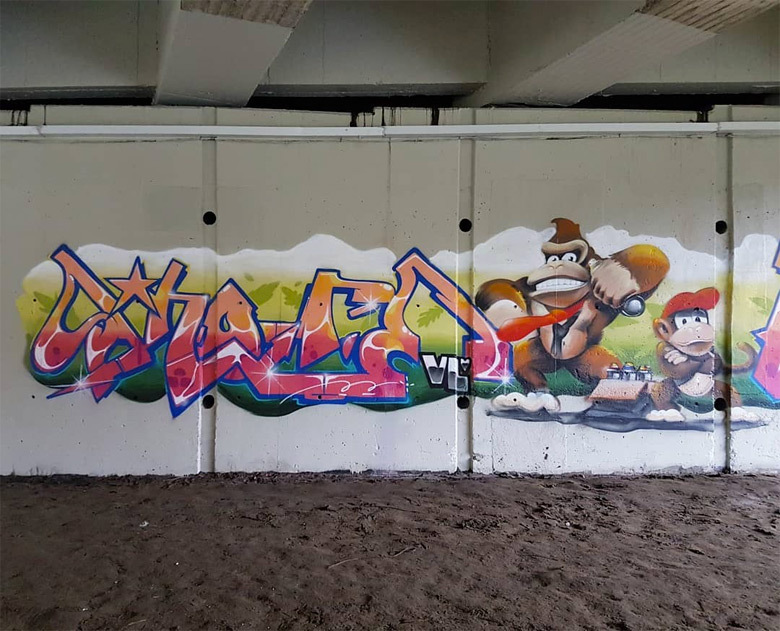 But it wasn’t up until recently that you began to focus on a more varied type of graffiti that offers different ideas in each new piece. Can you explain to us about this evolution? 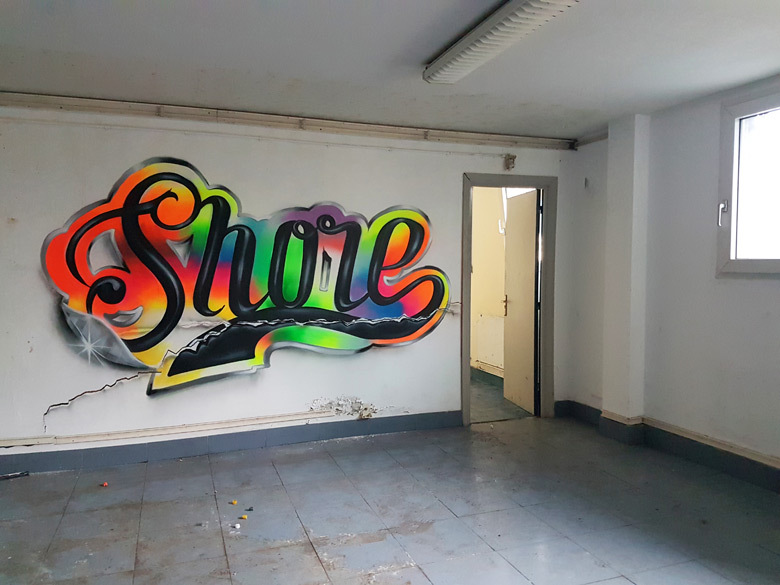 I can understand that this doesn’t happen to everyone since I see a lot of people who always focus on the same letters, shapes and tricks, but in my case, routines in graffiti bore me and I need each piece to be different from the previous one whether it be in technique, shape, or theme, etc. 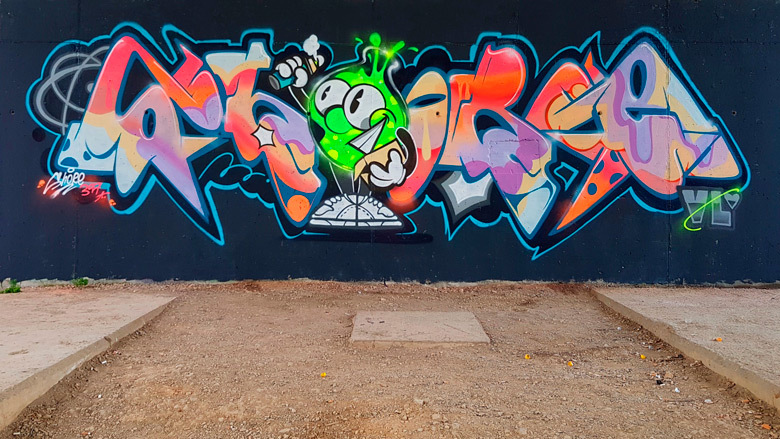 Maybe a couple years ago I was taking less risks, but when I got the idea of innovating at the wall with the intriguing possibility of messing up or surprising myself, it made me like graffiti more each day. -Where does the inspiration come from for each new concept? 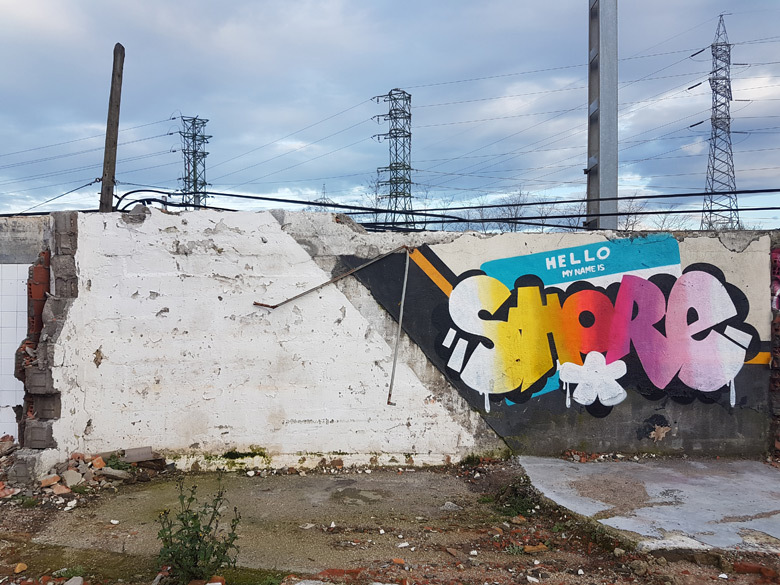 From my day to day activity, conversations with friends, TV series, ideas that occur when I’m walking in the street… In the latest pieces I recollected my childhood memories and put my alias “Skore” into different scenarios with some totally simple letters. Some are connected to a specific message and others are simply just for pure fun and experimentation. -Explain for example, how you came about the idea and what were you trying to say with the anaglyph skull piece, the Lichenstein-style piece, the Donkey Kong one or the piece dedicated to Muelle. Some of these pieces have a meaning behind them, like the Muelle and skull pieces. The first one of these came about after seeing the “Mi firma en las paredes” movie for the thousandth time. It makes me return to my roots and search for an idol like every kid does when they begin with their first tags, wanting get to know them and be like them. So, aside from paying homage to him, it’s a way to concentrate a lot of my memories and good times in one piece. On the other hand, I like to include skulls quite often in my pieces and on this occasion I distorted it because in my opinion, I think I have a slanted view on them. I really like the organic side of a skull’s shape despite its significance. Where people see a funerary element related to death, I see beauty. Isn’t the expression, “Beauty is on the inside”? To finish your question, the other two pieces you mentioned were just random ideas with a more aesthetic and above all technical intention that the previous ones. With the Donkey piece I wanted to perfect giving volume to the characters without having to put an outline on them like I do with the rest of the sketches, and with the Lichenstein piece it was the exact same thing except with cleanliness. I like to give myself obstacles in the pieces in order to be able to improve my technique. I think it’s important to force yourself to constantly evolve, in my opinion at least. -Is there any reason why you keep changing your name from Shore to Tokio? Yes, I began writing Shore when I started in all of this and it’s been my main name. Even though in the beginning I didn’t choose it for that reason, I like the symmetry that it gives my letters and I use it for the more serious pieces. 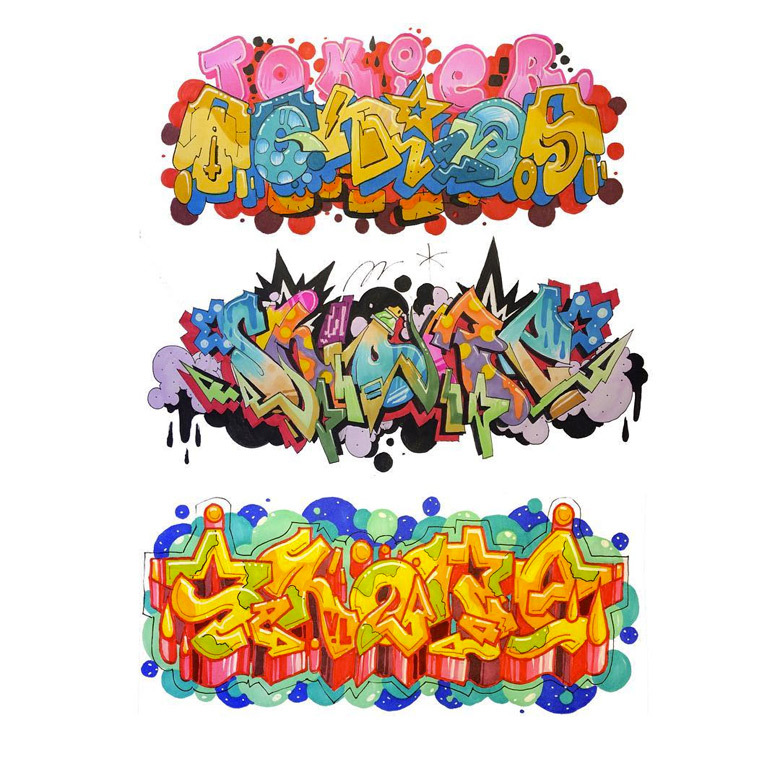 On the other hand, I’ve had several names over the years and each one of them has given the pieces a different dynamism, allowed me to use an alias for faster stuff, another because the tag looks good etc. 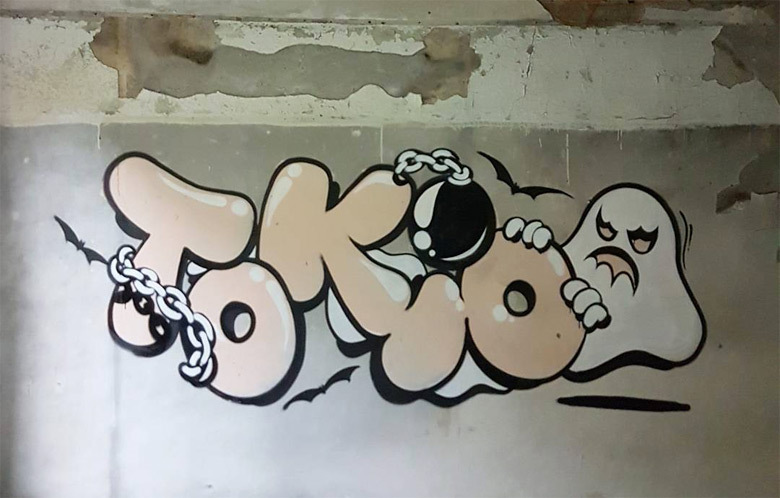 and with this most recent one “Tokyo”, it’s the one I identify with the most. 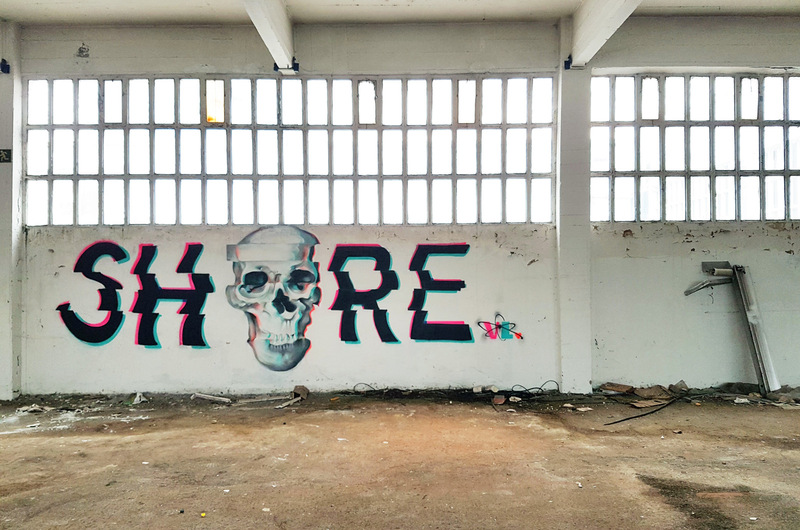 It’s fresher and looser and also, it allows me to simplify the letters more for bombing in comparison to “Shore”. -Is you enormous level of creativity reflected in your day to day routine? For example, at work? Currently my profession is painting, so I could say that I’m in front of the computer or directly drawing on paper all day, racking my brain in search of new designs that could be applied to both fields. So, graffiti’s creativity helps me with work and work helps the graffiti. They get on quite well. -What writers do you like? Names. It’s difficult to name them because if I start I can’t stop. I value peoples’ work quite a lot and it’s difficult for me to have favorites. If I had to say a few, from the national scene I would highlight Roice, Griots, Spok, Z.Rock, Treze (d.e.p. 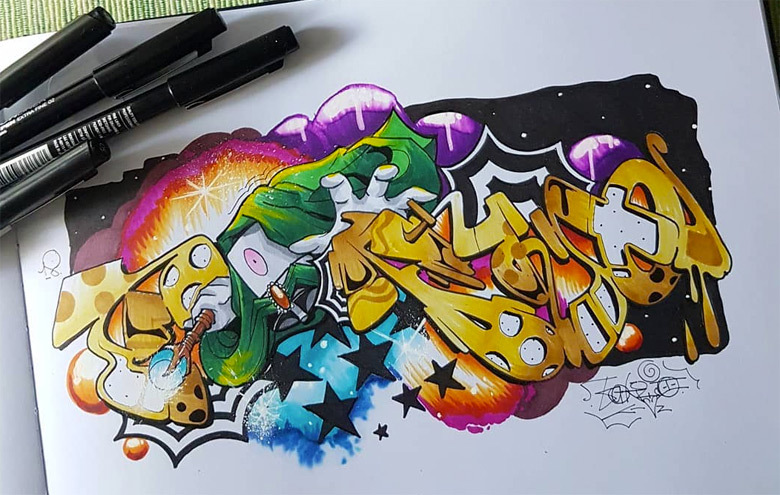 ), Renes, Sebas, Aryz, and from the internacional scene, Riots, Sonic, Cyrus, Debza and Taco amongst another 1000 in both categories. -From what we’ve seen, you never do Halls of Fame. Is there any specific reason? I’m not against spending a whole day painting a wall with people, but lately I prefer the freedom that a factory spot gives you. You’ve got a thousand possibilities in terms of walls and that way you can adapt the pieces to each situation, which is what graffiti is demanding of me right now. That makes it more fun, and if you’re not happy with one and you have paint leftover, then you do another, and another. 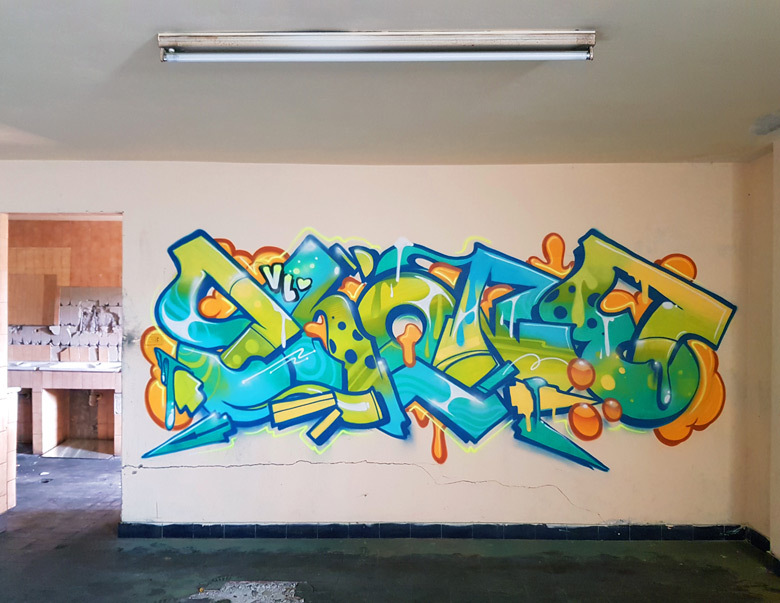 But on walls you always feel obliged to throw down one piece only and since I paint fast it’s hard for me to wait for the others without picking up a can and doing something elsewhere. 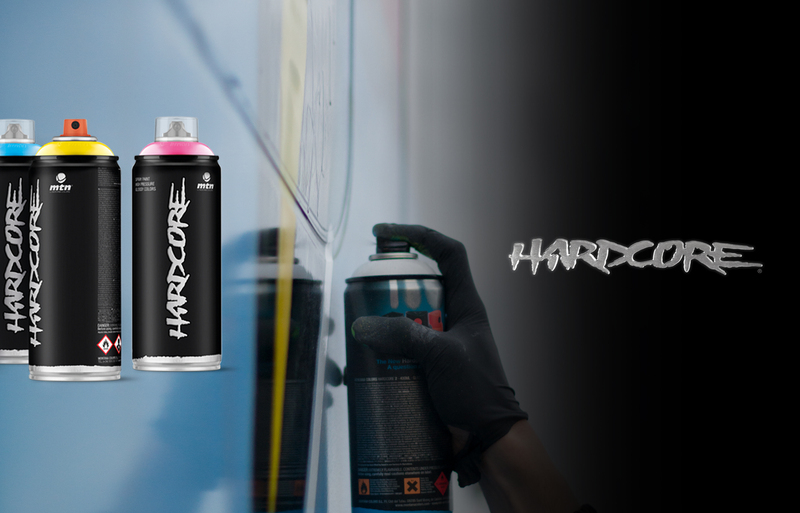 -What type of graffiti do you like the least? 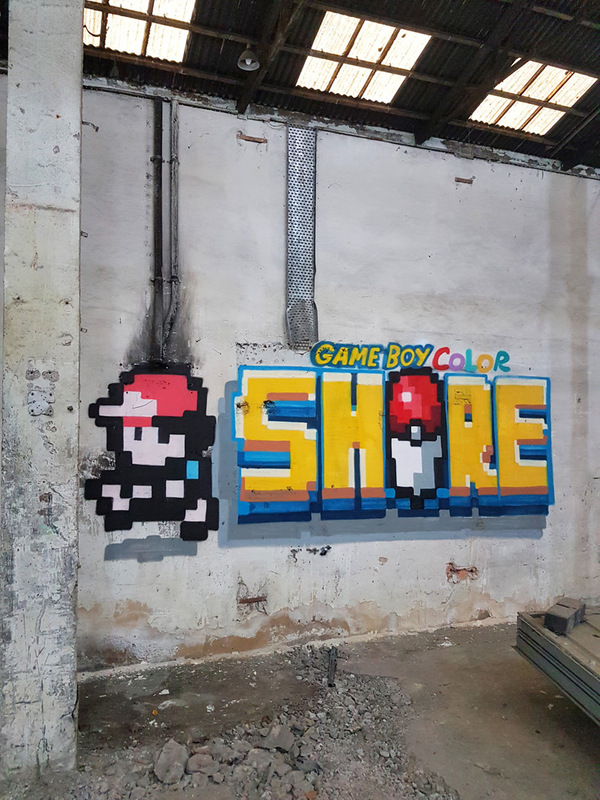 There’s no type of graffiti that I don’t like. Each style has its strength, hours of dedication and effort, and that’s 100% valuable. 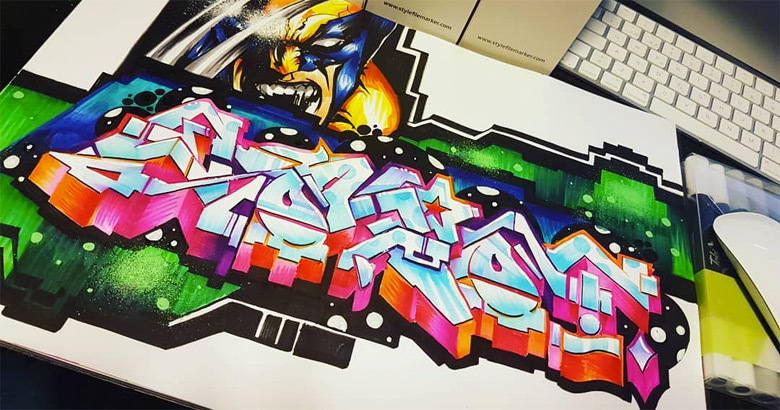 Maybe I tend to lean towards more colorful, simple stuff with a character or a scene in the background, but I wouldn’t be capable of sticking to one specific style with my graffiti because in the end, I appreciate it all from throw-ups to pieces with thousands of details to get lost in. -Of all the time you spend doing graffiti, how much do you spend on doing sketches? Before, I used to dedicate more time to letter writing since I was more focused on the style than a good theme or idea on which to inspire the piece. 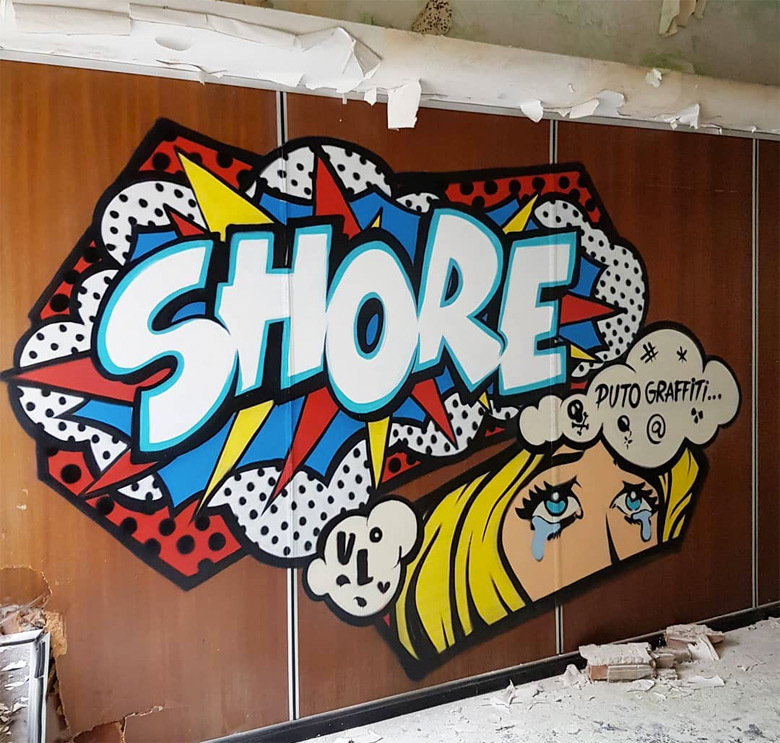 Now, after doing simpler, fresher pieces, I focus more on working on the idea in Illustrator or Photoshop and changing around typographies, photomontages and derivatives which I then integrate into the mural. Sometimes I just throw colors that I have leftover from a job and a bucket of roll paint into my backpack and improvise, adapting to the circumstances of the wall. -A message that you’d like to leave behind? 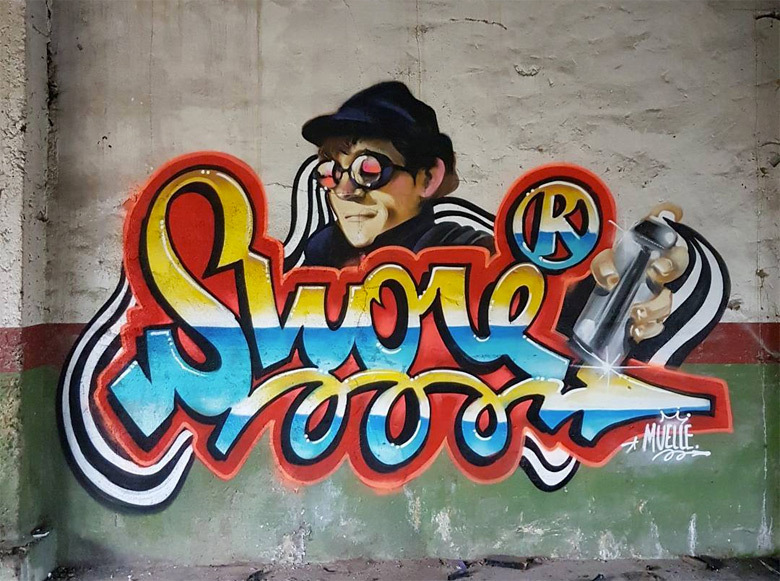 I’d just like to thank you for your interest in my graffiti and ideas, and to encourage people to take risks with their graffiti and to stop being afraid of trying out different styles, shapes and names. This isn’t about who is more real, it’s about having fun. Big ups!